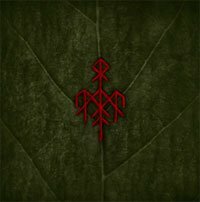 WARDRUNA - RUNALJOD - YGGDRASIL (CD O-CARD) | Online Shop | Wizard LTD. Album: "RUNALJOD - YGGDRASIL (CD O-CARD)"
Every so often an album comes along with such a wealth of back-story that (if you&apos;re curious enough) you can lose hours online tracing histories and hyperlinks through the fresh gaps that have yawned open in your knowledge. I found this out to my cost one stunningly sunny day when I spent the entire afternoon indoors, buried in Old Norse language, mythology, instruments and runes. The culprit was Yggdrasil, the newly-released behemoth from Norwegian folk(ish) enigma Wardruna. Wardruna is the musical realisation of founder Kvitrafn&apos;s years-long studies of ancient Norse paganism and tradition. Yggdrasil is the second in a projected trilogy of albums based around the runes of the Elder Futhark, the earliest alphabet used by Germanic tribes in the centuries before the Viking Age. The album is named, appropriately enough, for the immense tree linking the nine worlds of Norse mythology, on which Odin purportedly hung himself for nine days and in so doing acquired divine knowledge of the runes and their symbolism.